Learn the art of digital forensic triage. 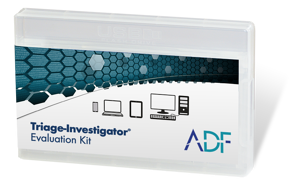 In this recorded webinar you'll learn how to conduct an initial investigation quickly based on the scope of the investigation you are about to conduct. If 90% of cases can be solved with 10% of the data, let's get to that point early and make decisions on the need for further deep dive, due diligence, or peace of mind examination of devices based off facts. 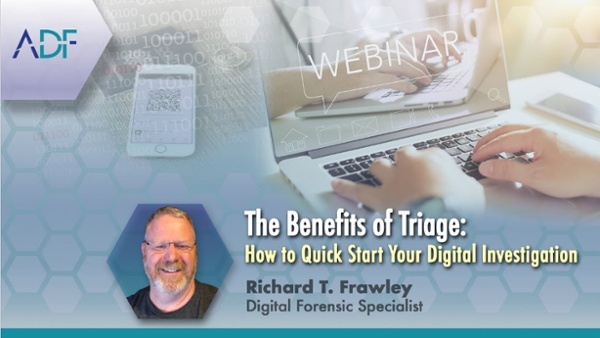 Join ADF Digital Forensic Specialist and Trainer, Rich Frawley, as he leads participants through a typical investigation to demonstrate the speed, accuracy, and best practices for using triage in the field or in the lab.